Vinyl LP pressing. 2018 release. 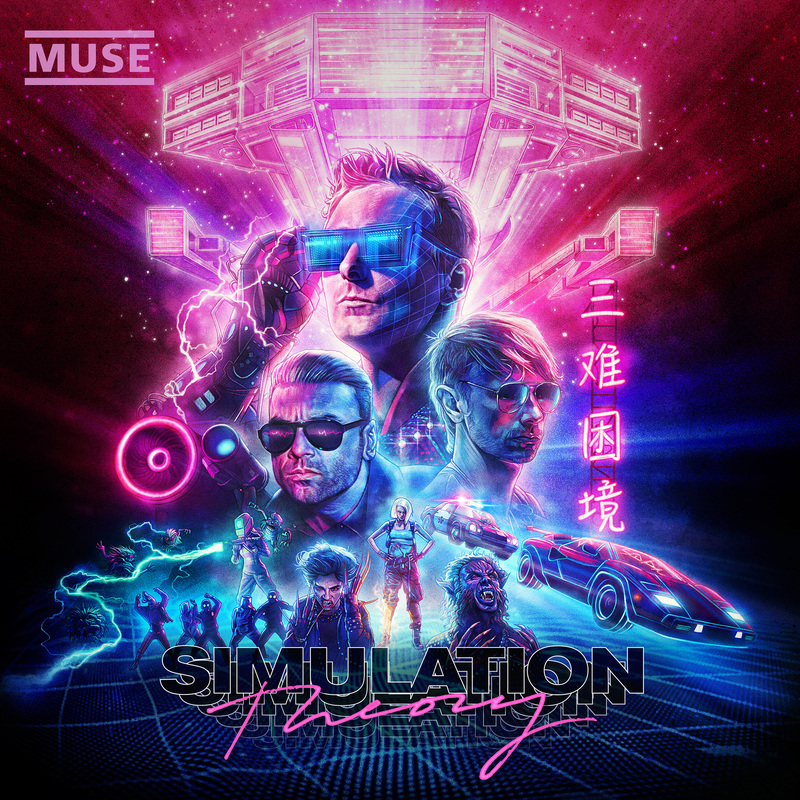 Simulation Theory is the eighth studio album by Muse. Co-produced by the band with Rich Costey, Mike Elizondo, Shellback, and Timbaland, it is a synth-rock album with themes of simulation and centering on the idea of "fantasy becoming real". Contrasting the band's previous three albums which dealt with darker themes, the band sought lighter influences from science fiction and 1980s pop culture and produced the album one track at a time without a focus on a greater narrative or theme. Recording began at AIR Studios in London in early 2017 with Elizondo, creating three tracks before embarking on a midyear tour of North America. Production restarted in Los Angeles in late 2017 with Costey, who had co-produced the band's 2003 album Absolution and 2006 album Black Holes and Revelations. "Era-blending" juxtapositioning and the contemporary political climate of the United States informed the album's music and lyrics.